The clearing of plasma toplet bombs has progressed to the point where we will see more positive physical action towards the planetary liberation, but not yet the Event. I have received very interesting intel about the Event and hopefully I will be able to release it in early December. I can only release hints until then. Let me just say that 2-4 weeks before the Event, situations will drastically accelerate. Recently, Dragon sources have communicated that “between November 2017 and February 2018, somebody will finally have enough and will trigger Full Disclosure.” It is interesting to note that this time frame coincides with a major operation of the Light Forces. The Resistance refused to comment on the above two statements, as they are never giving any time estimates for quite obvious reasons. I have added above time estimates just to give you an idea about what rumors are now spreading at the top of the intelligence community. The reason why the dark forces were able to do so much evil is because nobody stopped them. Now, as the number of remaining plasma bombs is decreasing fast, there will be more and more physical actions that will have the sole purpose of stopping the Cabal in their actions. Besides plasma anomaly, physical pain is the second most powerful source of evil when combined with negative free will. Physical pain originates from imperfect evolution of central nervous system in the physical bodes on planets with excessive amount of primary anomaly. 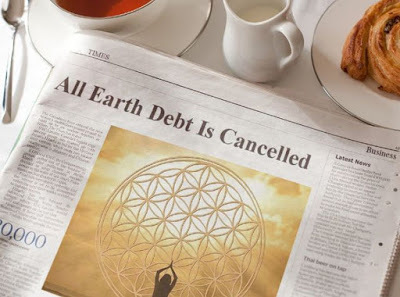 Fear of physical pain is the source of trauma-based mind programming which structures the society on planets controlled by the dark forces, the last such planet being planet Earth. Now the Light Forces have begun to dissolve the whole trauma-based mind programming complex on planet Earth at its core with their advanced technologies in a way that will not be described here. The Pleiadians would now like to help people with chronic pain and have developed a protocol that can help ease the pain. If you have chronic physical pain, you can repeat three times in your mind. The Pleiadians will then use their advanced technologies to access your central nervous system to ease your pain. This new protocol is still in development and is limited in its efficiency and the Pleiadians are asking for feedback. Those who will use this protocol, are welcome to report its effects in the comment section on my blog where this article is posted. I can not say more about the situation, but the following months will be very interesting.